LOS ANGELES – APRIL 10, 2019 – MJIC, Inc. (“MJIC”) doing business as ManifestSeven, a fully integrated omnichannel platform for legal cannabis, announced that it received shareholder approval to consummate a merger with a wholly owned subsidiary of P&amp;P Ventures, Inc. (TSXV:PPV.H) during its Annual Shareholders Meeting held on April 8, 2019. P&;P Ventures will be filing a listing application moving from the Toronto Venture Exchange (“TSXV”) to the Canadian Stock Exchange (“CSE”) and changing its name to ManifestSeven Holdings, Inc. (“M7”) with the requested trading symbol of MSVN. Upon completion of the Merger, all MJIC shareholders will become shareholders of M7 and the present business operations of MJIC will be wholly owned and continued by M7. The common shares of P&amp;P Ventures were halted effective March 28, 2019 and are not expected to recommence trading on the TSX-V prior to delisting in connection with the completion of the proposed transaction. The proposed transaction is anticipated to close on or before June 30, 2019. The proposed transaction is an arm’s-length transaction. 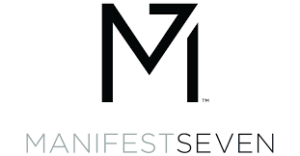 ManifestSeven, or “M7” and formerly known as MJIC, is the first integrated omnichannel platform for legal cannabis, merging compliant distribution with a retail superhighway. The Company, based in Commerce, California, services the needs of lawful operators across the supply chain, from the cultivator to the consumer, through an expansive network of seven facilities stretching from the San Francisco Bay Area to San Diego. ManifestSeven further augments its business-to-business value proposition with a growing portfolio of owned and operated retail operations located in major metro markets, including brick-and-mortar dispensaries, local on-demand delivery services, e-commerce and subscription offerings. To learn more, please visit: www.manifest7.com. For more announcements from ManifestSeven, click here.